Looking for AC Motors? Get a quote fast. Whether it’s a premium efficient motor for harsh, outdoor conditions at a petro-chemical plant, or for continuous duty in a distribution center, Bay Power can get you the right motor for your needs and specifications. Single phase motors, 3 phase motors, HVAC, pump, washdown duty, definite purpose, farm duty, IEC frame, variable speed ac motors, you name it - we can get you what you need. 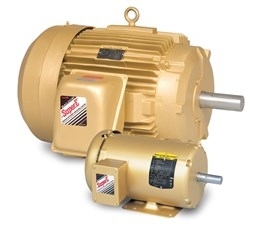 We carry a multitude of motor options to keep your operations funning smoothly. For instance, Totally Enclosed Fan Cooled (TEFC) and Open Drip Proof (ODP) are reliable motors that have kept plants operating efficiently for decades. Explosion-Proof, Close Coupled Pump and Automotive Approved motors deliver premium efficiency for special applications. In applications requiring added protection from corrosion caused by severe environmental operating conditions, Baldor-Reliance Super-E Severe Duty motors are available in TEFC ratings from 1 through 2250 Hp. Cast-iron construction, epoxy primer and finish paint inside and out, gaskets on all joints and many other features provide added protection where and when you need it most. For the ultimate in protection from severe environments – where you need added insurance against downtime – Baldor manufactures IEEE 841 motors. Delivering reliable, rugged performance with the industry’s highest energy efficiencies, these motors exceed IEEE 841 - 2001 standards for severe duty TEFC induction motors. Inpro/Seal® bearing isolators at both the drive end and fan end. Baldor IEEE 841 motors are available immediately off the shelf, in 1 - 250 Hp ratings, with special designs available as custom motors. Bay Power is an authorized distributor for Baldor-Reliance motors as well as TECO-Westinghouse motors. Contact us today with your specs and we'll help you choose the right motor for your application! Your AC Motor is a phone call away. If you need to place an order for your AC Motor, give us a call or request a quote below. Give us your application and specs and we'll get you the right motor for your project. Have any old or unused AC Motors lying around? Don’t get rid of them just yet. While we stock a wide range of quality electrical products and solutions, both new and reconditioned, we also buy back your unwanted equipment. So, before deciding what to do with your old AC Motors and components, have one of our expert technicians take a look to see if we can save a few parts, save the environment, and save you some cash. Great service shouldn’t end after the purchase. We pride ourselves on the relationships we build with our customer-first mentality and the quality of our AC Motors and components. That’s why we offer a 1-year replacement warranty on all of our electrical products and solutions from the top manufacturers. Because when you buy with Bay Power, you buy with confidence. We are proud to stock a variety of competitively priced, new and reconditioned components from the leading manufacturers of AC Motors. Thanks to our extensive inventory of AC Motors and components, our resourceful and expertly trained staff will always be able to get the products that you need. Through our extensive network of suppliers, we are able to carry and acquire a huge variety of electrical products and solutions, so chances are if you need it, we can get it. Bay Power’s priority is providing you with reliable, high quality electrical hardware. That’s why our mission is to make sure our reconditioned electrical products and solutions function as perfectly as the day they were built. Because while the quality is high, the cost of AC Motors shouldn’t be. 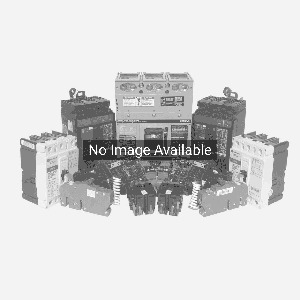 Our selection of new surplus AC Motors may not arrive brand new in a box, but they function just as well, and have never had electricity run through them. All of the quality, none of the packaging, always with our 1-year replacement warranty.